1. 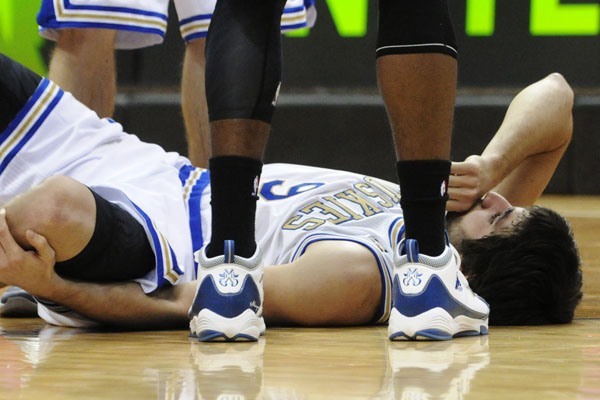 Ricky Rubio-PG-Timberwolves- This one hurts (no pun intended). The rookie, who was considered by many to be involved in Rookie of the Year conversations, tore his ACL and will miss the rest of the season. His 10.6 points, 8.2 assists and 2.2 steals per game average will need to be somehow replaced. The logical choice would be PG Luke Ridnour but chances are he’s already been scooped up in your league. Our suggestion would be J.J. Barea. Even though he’s Ridnour’s backup, he will still get you close to 12 points and 6 assists a game as he’lll get more playing time with Ridnour playing the two, (like he did with Rubio in there). Barea is owned in just 15% of leagues. 2. 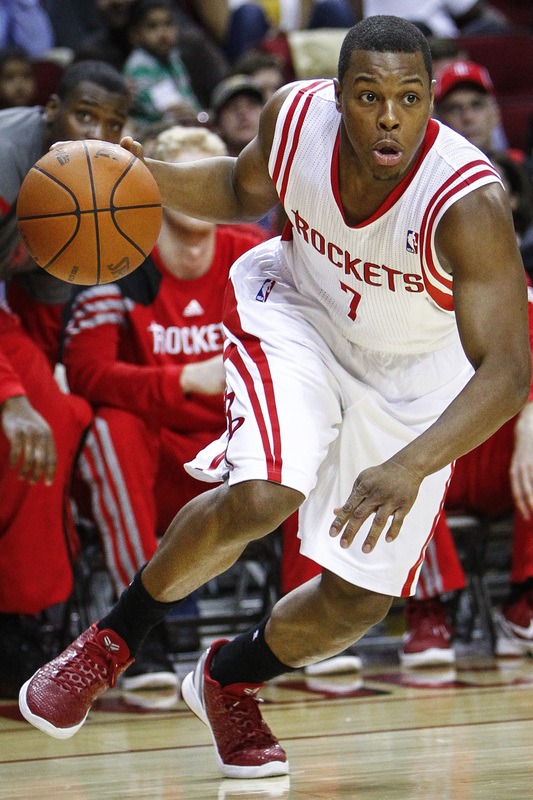 Kyle Lowry-PG-Rockets- Hospitalized for the past 4 days, Lowry has been diagnosed with a severe bacterial infection and will miss anywhere from 2-4 weeks. This is a worse blow to fantasy managers than Rubio with Lowry’s averages for the season at a hefty 15.9 points, 7.2 assists, 5.3 rebounds, 1.8 steals, and 1.9 threes per game. To help make these up, and if you’re lucky enough to have grabbed you some ‘Dragic Magic’, Goran Dragic , 2nd round pick in the 2008 draft is the must add. In the two games that he started in place of Lowry, he’s averaged 21.5 points, 8.0 dimes, 3.0 boards, 1.0 steal and 4 threes. More than serviceable. Dragic is available in 65% of leagues. 3. Luol Deng-SF-Bulls- Deng will miss his second straight game (wrist) against the Knicks on Monday and it’s unlikely (questionable) that he’ll play on Wednesday vs the Miami Heat. With Richard Hamilton (shoulder) also out, 3-point specialist Kyle Korver will start and get 30+ minutes per game. He’s started five games so far this season and has averaged 15.0 points, 4.0 boards, and 3.4 threes. 4. Rudy Gay-SF/PF-Grizzlies- After taking an elbow to the head vs the Nuggets on Sunday, Gay suffered what is believed to be a mild concussion which probably affected his game as he shot just 3 0f 13. He will be undergoing further tests on Monday. Montior this situation and pick up Dante Cunningham if the concussion symtoms linger and force Gay out of the lineup for an extended period of time as concussions can do. Cunningham had 12.0 points, 8 boards, and 3 blocks in over 27 minutes in that Nuggets game. Quincy Pondexter is another player who will garner extra minutes as well. FYI…Wison Chandler-SG/SF-Nuggets- According to Chandler’s agent, this Friday is the deadline set by Chandler’s agent for Denver to agree to a long term deal. Even with a logjam of players, coach Geaorge Karl has said he would play Chandler for 30+ minutes a game if he’s signed, so pick him up at your own risk. Just be mindful that this if he’s going to get signed, this would be the week. ← How much has Mark Sanchez made per TD?